Royalist Infantry (Fusileros) [RI-01] - $7.20 : Grenadier Productions,, Home of Liberators! 12 figures in 6 poses; Fusileros (fusiliers) in summer campaign uniform: jacket with no tails & shako with oilskin cover. 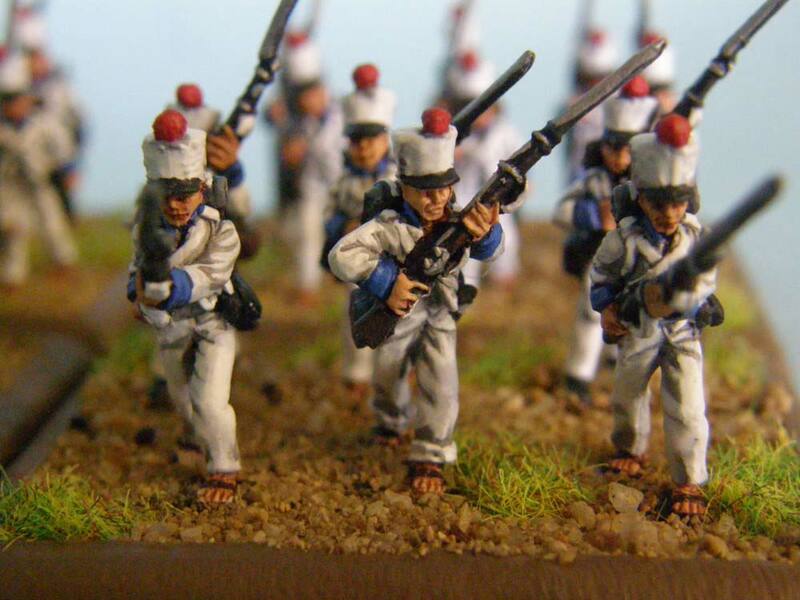 Use these figures for the rank and file of your battalions. Also known as the "center companies".